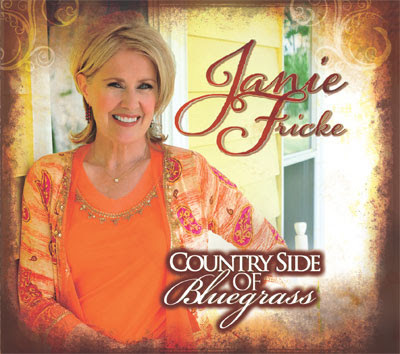 JANIE FRICKE’S ALBUM, COUNTRY SIDE OF BLUEGRASS, AVAILABLE NOW | 2911 Enterprises, Inc.
Janie Fricke, known to many in the country world for her hits in the ‘80s, is taking a spin at bluegrass with some fresh interpretations of many of her beloved tunes. Her release, Country Side of Bluegrass, is in stores today amid glowing reviews. In partnership with New Music Deals, the album is available on iTunes, Amazon (Download), Amazon (CD), www.janiefricke.com and at Ernest Tubb Record Shops. For a list of tour dates and for further information on Janie Fricke, please visit www.janiefricke.com.